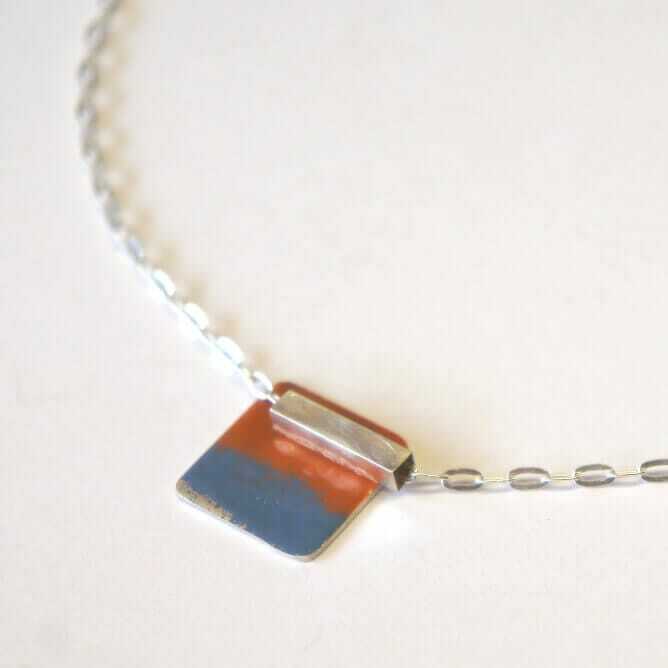 Handmade sterling silver enamelled pendant on 18'' chain. 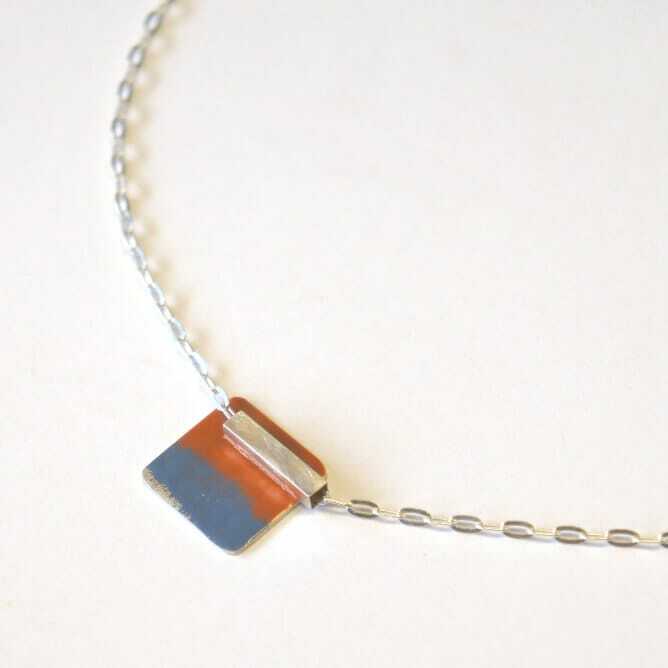 Pendant measures 15mm x 15mm approx, featuring a square tube bail. 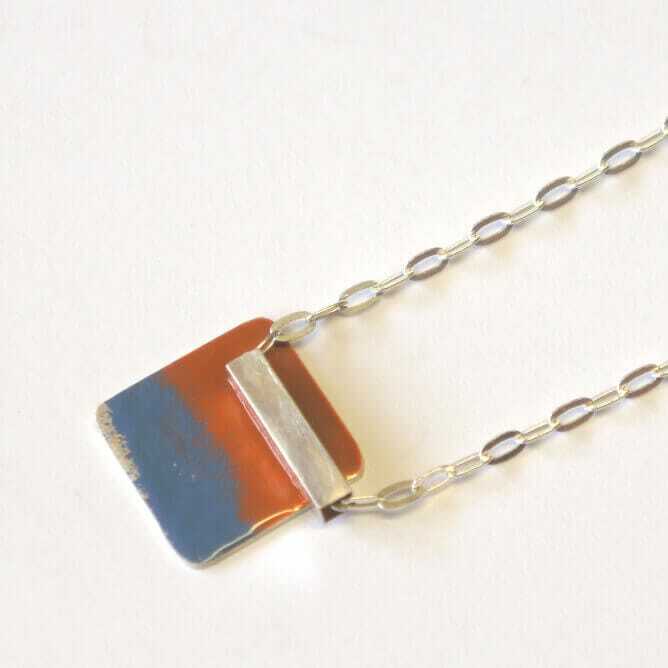 Rusty burnt orange & blue enamel. 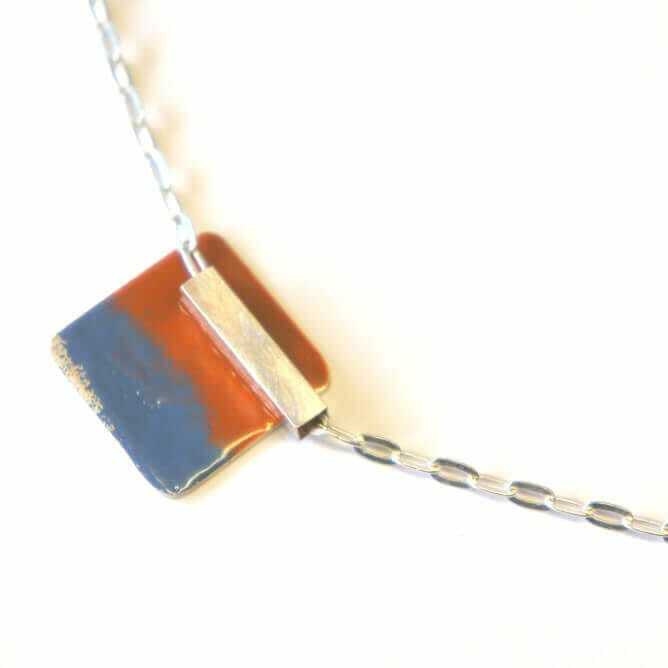 Please note due to being handmade, enamelling may vary, meaning no two are exactly the same making them unique! Pendant measures 15mm x 15mm. Chain 18” – if you require a different length chain please let us know in the comment box at checkout.